A training scenario in Obangame Express 2015. 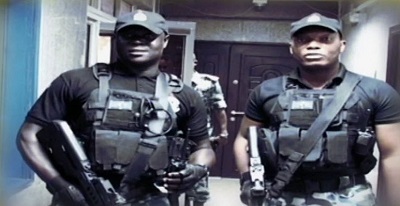 French oil services company Bourbon Offshore confirmed on Monday that three Nigerian crew members have been kidnapped after one of its crew boats was boarded the night of April 8. The crew members were aboard the Surfer 1440 when kidnapped. All three have been confirmed to be of Nigerian nationality. Bourbon operates a fleet of light, fast cruisers it calls Surfers that are used to move professionals to offshore oil and gas sites, especially in West Africa. This type of speed boat can carry up to 20 people and light packages to the oil facilities. 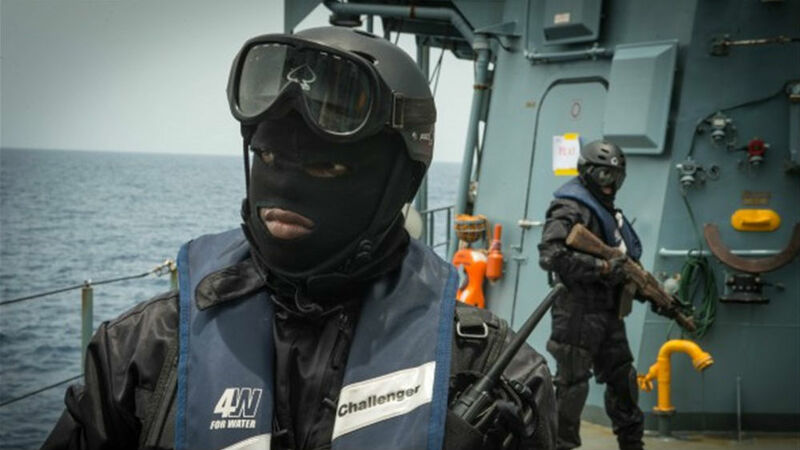 In a separate incident in Nigeria, the navy foiled an attempt by 10 pirates to hijack the tanker Imas sailing in to the country over the weekend. The gang had overpowered the crew when the navy stormed the vessel. Some of the escaping pirates were injured, one was arrested. Piracy has been on the increase in the Gulf of Guinea, sparking concerns that West Africa is becoming a new crime center. The Nigerian Navy, led by the Chief of Naval Staff Vice Admiral Usman Jibrin, was a major participant in the March 2015 international maritime show of force, which had 21 participating countries from Africa, United States and Europe. Named “Exercise Obangame Express”, a Cameroon word for “Togetherness”, the operation is a U.S. Africa Command-sponsored multinational maritime exercise particularly designed to increase maritime safety and security in the Gulf of Guinea. It first started in 2010. The participating navies used the occasion to issue a warning to those involved in piracy or the purchase of stolen products as they deployed dozens of vessels during the one week operation.